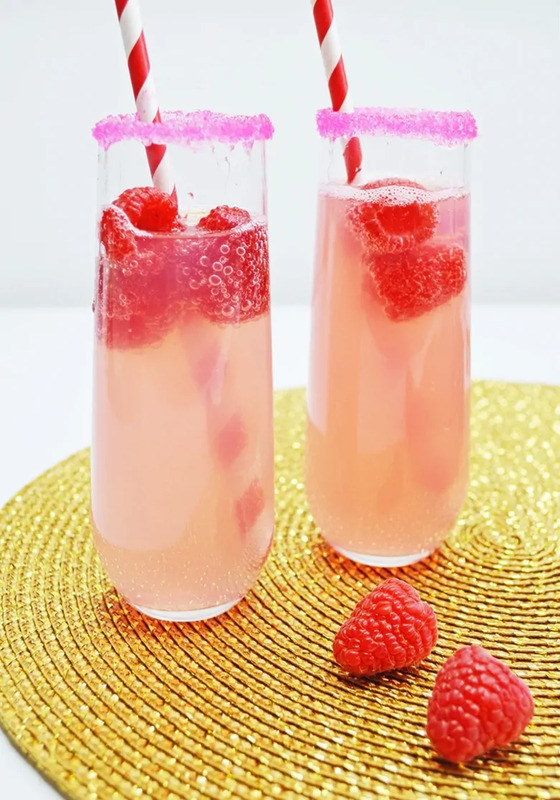 This small-batch Raspberry Lemonade Mimosa recipe made with with champagne and raspberry lemonade is a great cocktail for Valentine's Day or brunch with the girls. What could be the better accompaniment to a brunch than a mimosa? We’ve all had the classic version made with orange juice and champagne. There are even grapefruit and peach versions. But what about something with even more flavor? 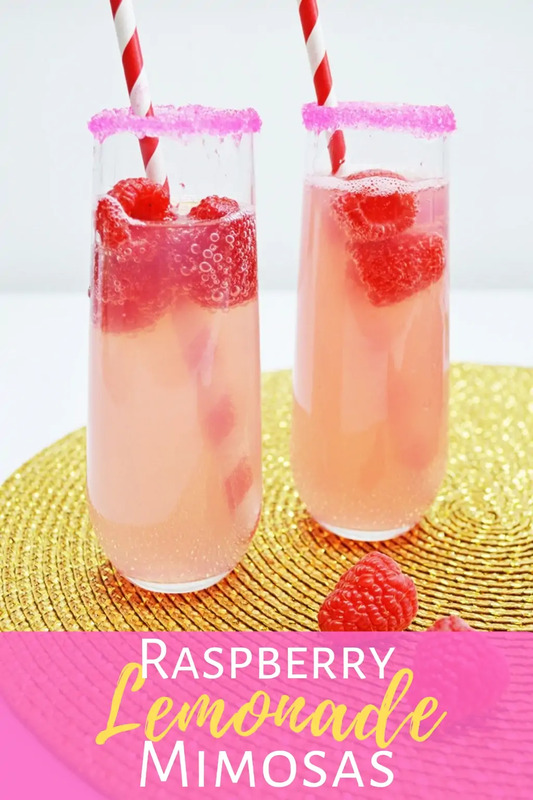 Meet the delicious Raspberry Lemonade Mimosa. 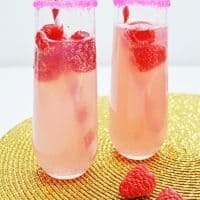 A raspberry lemonade mimosa would certainly be a great addition to any brunch with the girls or wedding shower. It would also make a great cocktail option for Valentine's Day or Galentine's Day celebrations. Not only does the drink have a striking color, but the flavor is just the right mix of tangy and delicious. The pink sanding sugar and paper straw add a fun touch to the drink and makes for a perfect presentation. By the way, if you don’t like raspberry, play around with other flavors. You can find so many different flavors of lemonade. Try blackberry, strawberry, or even watermelon. Then just match the color of the fruit to the sugar sprinkles you use to make the drink super cute. What’s really great about this brunch cocktail is that you can make a non-alcoholic version easily as well. All you need to do is use lemon lime soda or a sparkling juice in place of the champagne. It’s a great idea to make a pitcher of the virgin lemonade mimosas so that kids or adults that don’t drink alcohol have something special to enjoy as well. By the way, if you are baking these cocktails for a party, I highly recommend picking up these glasses to make clean-up a breeze. 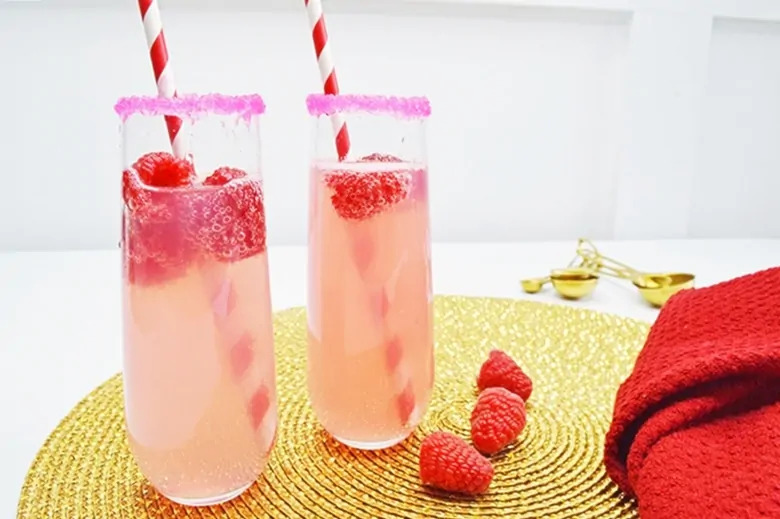 This small-batch Raspberry Lemonade Mimosa recipe made with champagne and raspberry lemonade is a perfect cocktail for brunch with the girls. 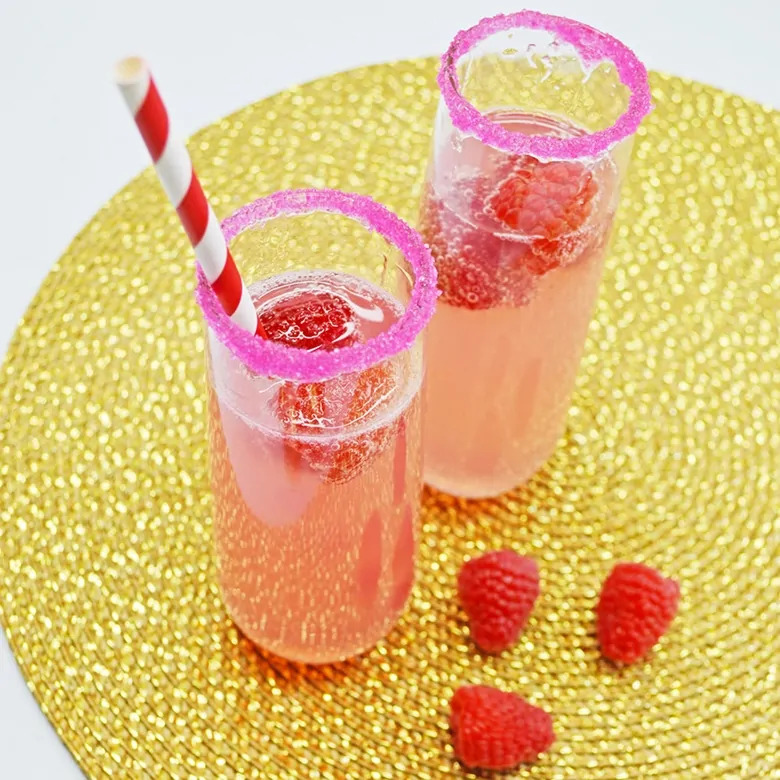 To rim glasses: Pour a bit of raspberry lemonade onto a plate or shallow bowl, and do the same with the colored sugar. Dip the rim of a champagne flute into the lemonade, being sure to coat the entire rim. Then, dip the rim of the glasses into the sanding sugar. Pour raspberry lemonade and champagne into the glass and stir to mix. Substitute the champagne for 3 oz lemon lime soda for alcohol free mimosas. Lemonade with that wonderful pale pink color? Hi Debra — try Simply Lemonade. They usually have it at Walmart and Target as well as other grocery stores.